I'm finally joining the hype that is this trilogy and I really don't know why I waited so long because this book was awesome! 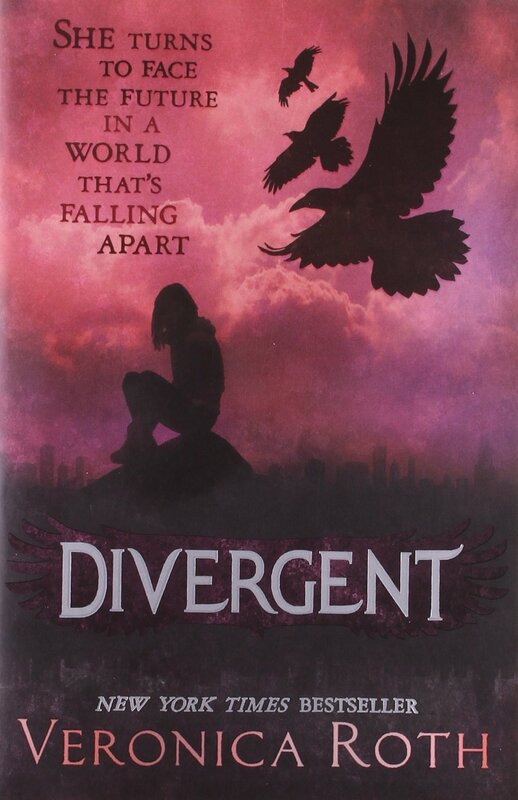 Set in a dystopian world where everyone is divided into factions, we follow Tris as she discovers who she is and where she belongs, as well as the fight between what is right and wrong. This message is one of the first things I liked about the novel. I thought that the struggle between choosing right and wrong, between good and evil was really interesting and thought provoking as I found myself constantly asking what I would do if I was her. I'm very glad that the message wasn't about choosing between two guys and I'm so glad there wasn't a love triangle because they're cliched and boring! Which brings me onto my next point about the romance. Although it was really predictable, I did enjoy it. I completely ship Four and Tris and I love how the two of them discover things about each other. These realisations were powerful and connected the characters further, which added a more unexpected twist onto something that I predicted from the beginning. Their individual character development and development as a couple was well written and I felt connected to them. The entire plot was fantastically written and gripping. I was hooked and read this book in a matter of days. Just when I thought everything had calmed down something new and dramatic occurred and this was a really effective feature. I can't wait to read the next two novels in the trilogy and hope they're of the same fast pace and full of intrigue like this one. Overall this was a really enjoyable read. I'm so glad to have jumped on the bandwagon after procrastinating reading this series for so long - what's wrong with me?! I recommend this to everyone even though it's predominantly aimed at young adults because it had me hooked the entire way through and caused me to dive straight into the second book already! Politeness is deception in pretty packaging. Sometimes, the best way to help someone is just to be near them. That is death - shifting from "is" to "was"